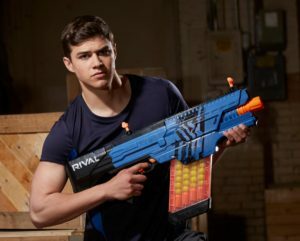 If you thought the Khaos was a chaotic Nerf blaster, think again, because Winston Wong’s leaked image of the Nerf Rival Nemesis may just be the most hectic Nerf blaster out there! Unfortunately we only have a box art image of the Rival blaster so we’re limited in information. Nonetheless, here is all the information we think we know about this blaster. Since the Khaos was quite a large blaster I’m interested to see just how big this blaster will be! As for pricing, I suspect it’d be a little more expensive than the Khaos, so expect it to be over $75 USD. Hopefully we’ll see it below $100 USD. 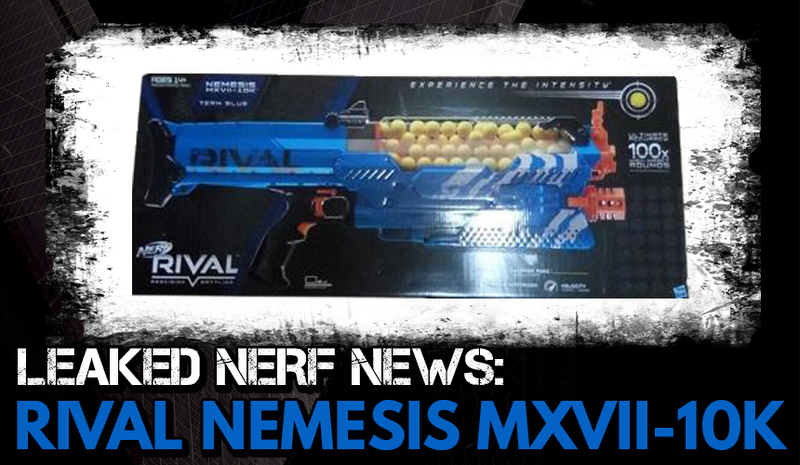 So if the Nemesis functions smoothly and has a faster fire rate than the Khaos, I’m sure most of us can agree, that this will be the most chaotic Nerf blaster to date. Let’s hope it performs well as it’s not every day we see a 100 round Nerf blaster! That’s all the news for today but we’ll keep you updated on more news of the Nemesis. 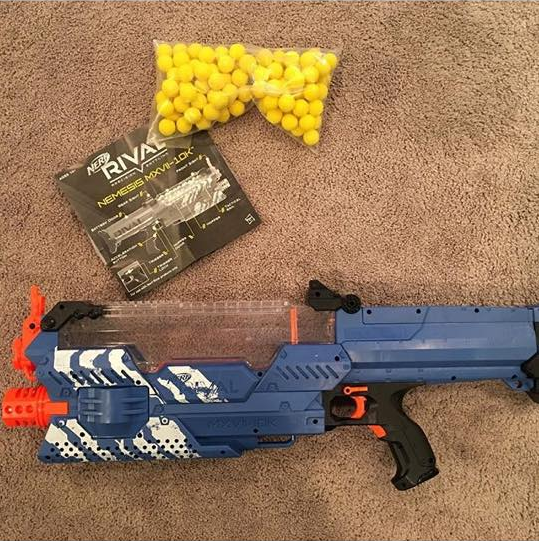 An instagram user has also managed to get his hands on the Rival Nemesis. The image has since been taken down for unknown reasons. This entry was posted in News/Updates and tagged 2017, blaster, blaster hub, hasbro, leaked, nemesis, nerf, news, rival on January 20, 2017 by JJ Reviews. Blaster Trademark Updates – It’s a Long List! Nerf News: NERF NITRO – Fires Foam Cars?! True, I totally forgot about them. Thanks for pointing that out. I’ve now included that other leaked image.